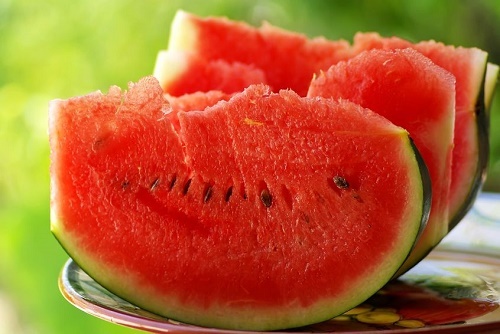 Take a large knife to a watermelon and make two-inch slices. Quarter each slice into 4 wedges and array on a plate. Garnish these wedges with chopped mint leaves, lime zest and sugar. Dribble lime juice on the wedges and serve.